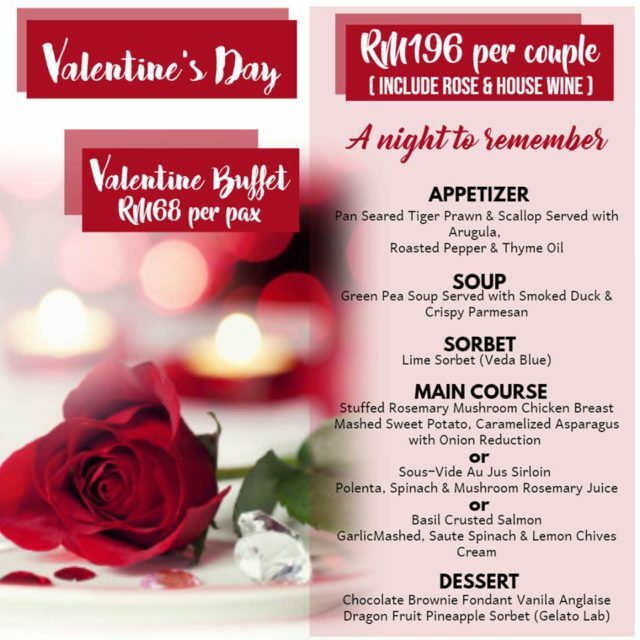 Four-course set menu, includes free-flow of house wine. 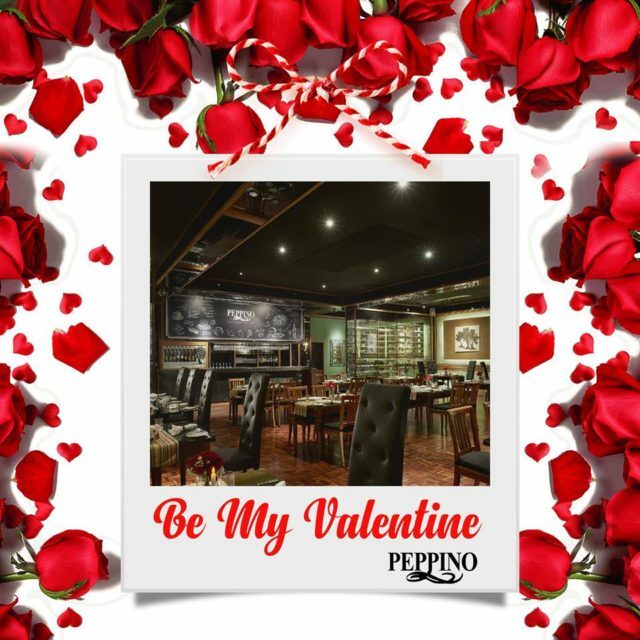 Five-course set menu, includes a bottle of champagne, private dining at Cabana. 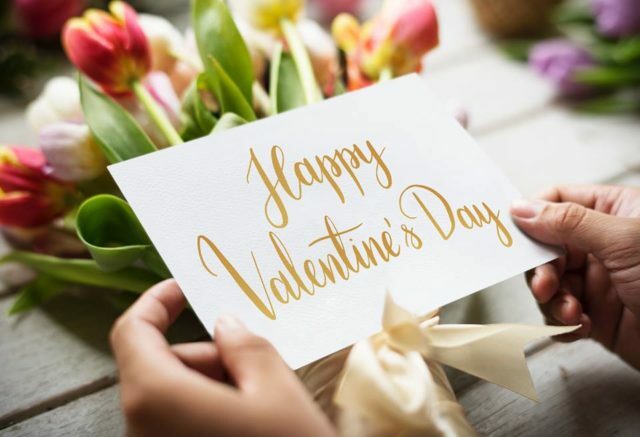 So exclusive, this offer is limited to just ONE COUPLE PER DAY! Five-course set menu includes a bottle of champagne. ❤ One stalk of red rose. ❤ A box of the world famous Valrhona Chocolate per couple. 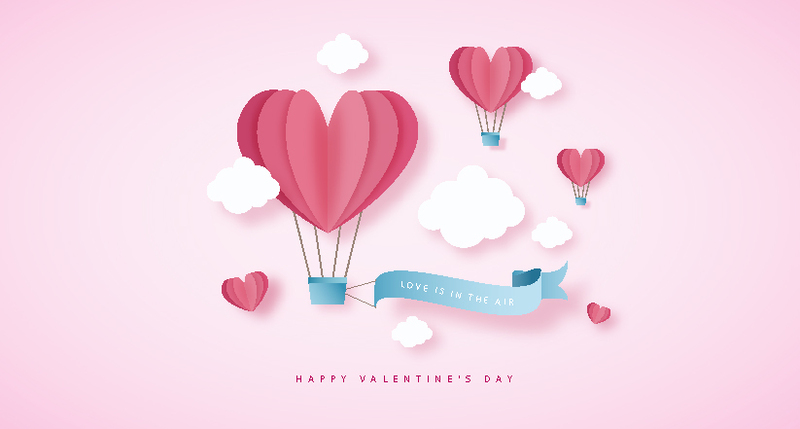 ❤ 30% discount on Cafe TATU’s Daily Themed Buffet Dinner. 1. All prices quoted are inclusive of 10% service charge and 6% government tax. 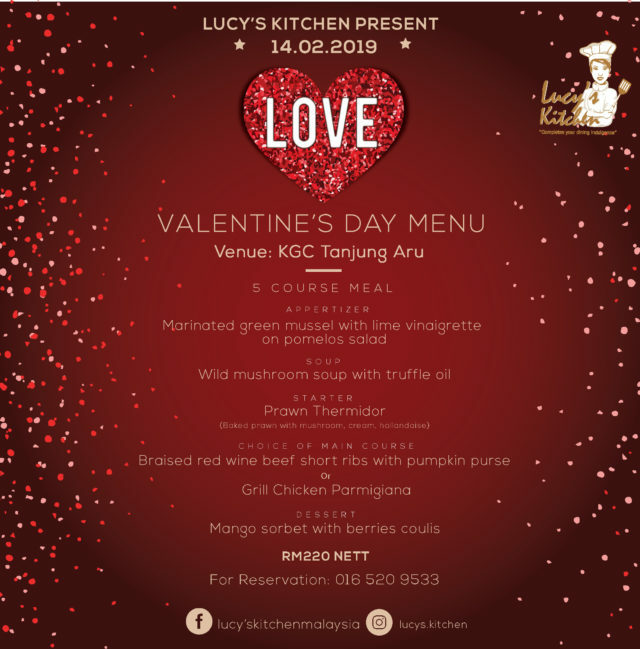 Valentine’s Day Dinner buffet at Tanjung Ria Kitchen featuring seafood and roast items, priced at MYR 150 nett per person or Valentine’s Day Set Menu at Nagisa, priced at MYR 188 nett per person. For table reservation, Call +6088 22 1234. 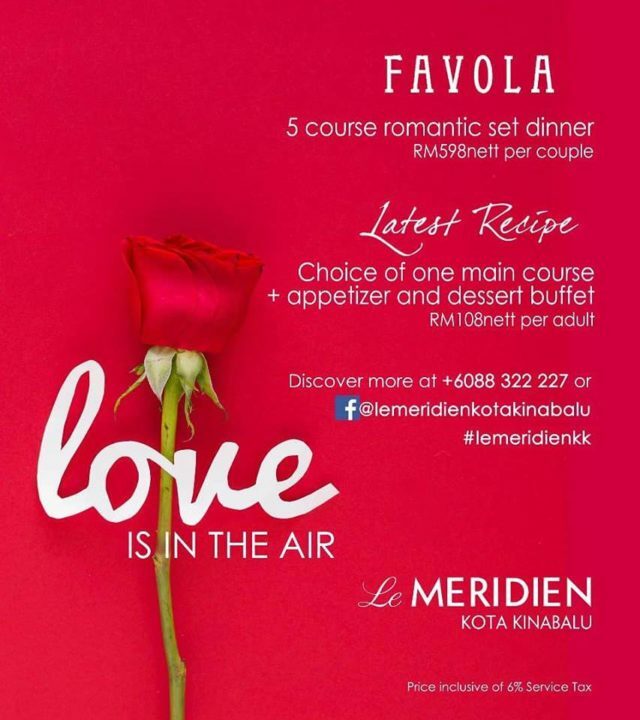 Make it intimate and cozy with 5-course set dinner at Favola, or be spoilt with choices with semi-buffet at Latest Recipe. Both equally amazing. Call +088322227 for more information. 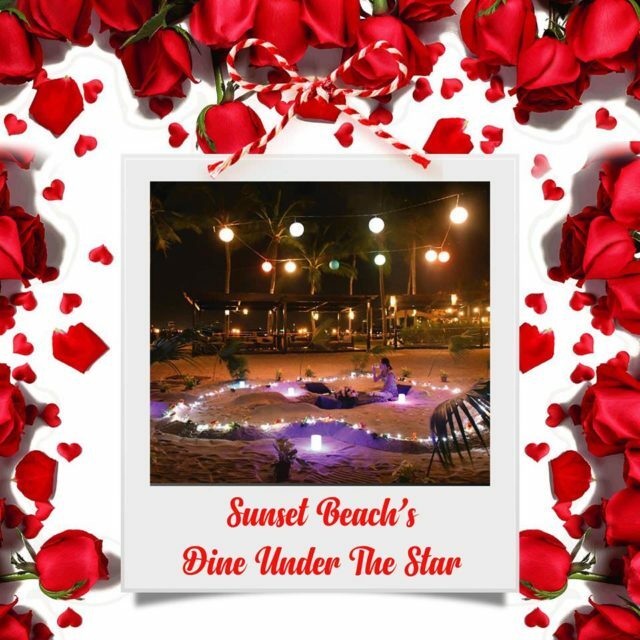 Dine by Tanjung Aru Beach and enjoy one of the best sunsets in the world with your loved one. 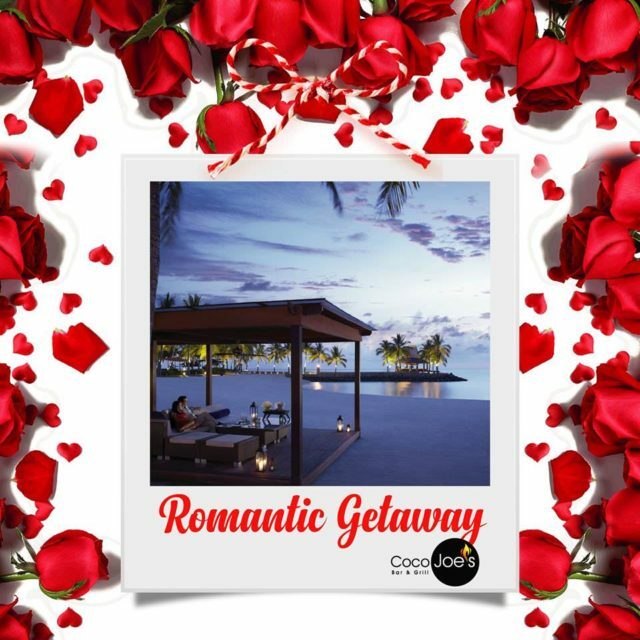 Set at RM220 nett per couple. Thanks for the guide. Its really helpful. Im scratching my head where to bring my Thai husband as he is coming to KK this Saturday.